The DA says waiting for an ambulance to take a patient from Alicedale to Makana can take anything from three to five hours, to more than a day. 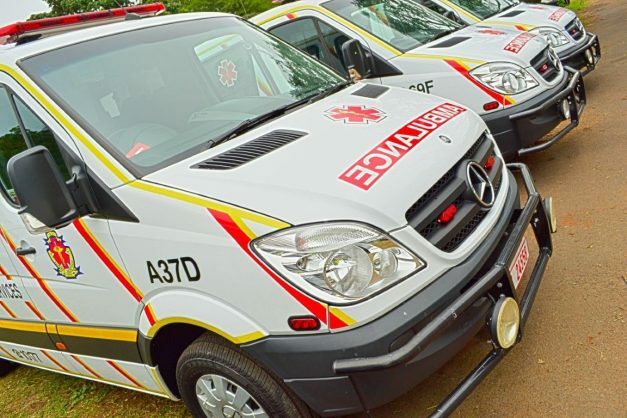 An Eastern Cape woman and her unborn baby died due to a shortage of ambulances in Alicedale, the Democratic Alliance said on Monday. Makana Local Municipality councillor Theo Bruintjies said on Tuesday last week Yolandi Vrolik (21) went into labour in Alicedale and phoned for an ambulance at 5am. “The ambulance only arrived at 7.30am and the woman only arrived at Settler’s Hospital in Makhanda at 9am. She lost her baby and had to undergo an emergency hysterectomy. She passed away yesterday, 26 August, in the Livingstone Hospital in Port Elizabeth,” he said. Bruintjies said waiting for an ambulance to take a patient from Alicedale to Makana can take anything from three to five hours, to more than a day. “Most days there is only one functioning ambulance in the Makana district. Often the ambulance must take patients from Makhanda to Port Elizabeth and can then only collect rural patients after it returns to Makana. “Residents living in Alicedale and other rural communities around Makana face a daily struggle when trying to access ambulances services. This struggle has become more and more severe. This crisis is impacting upon the lives and wellbeing of rural residents,” he said. Bruintjies revealed that he would write to his colleague Jane Cowley, shadow MEC for health, to escalate the matter to the Eastern Cape health MEC Helen Sauls-August.